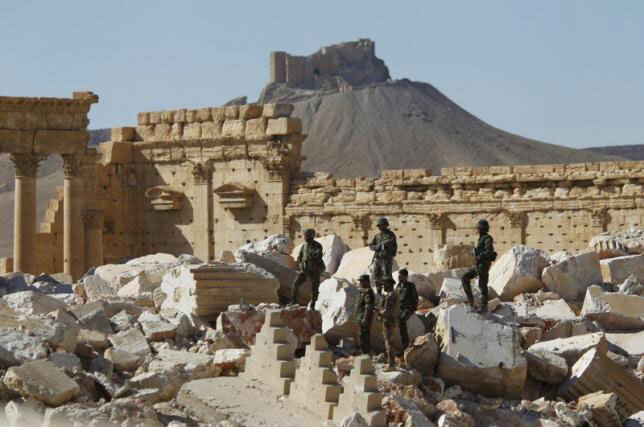 Syrian army soldiers stand on the ruins of the Temple of Bel in the historic city of Palmyra, in Homs Governorate, Syria this April 1, 2016. Photo Credit: Reuters/Omar Sanadiki. A team of experts from Russia’s Culture Ministry have assessed the damage and found that the Temple of Bel and the Arch of Triumph can only be rebuilt with the use of new materials. The two ancient monuments were severely damaged by the IS. After it was recaptured, in March 2016, assessments of the damage, first from a distance due to land mining and gradually closer have showed that they have been damaged to such an extent, that their recreation could only take place with the use of substantially new materials. In particular, the Greaco-Roman Temple of Bel, founded in the first century, can be reconstructed with the help of designs and photographs, after the building’s ground has been cleared. This will take at least 3-4 years. Another significant monument of the UNESCO world heritage site, the Arch of Triumph, could be rebuilt within 9-12 months. However, after it is recreated, about 60-70% of it will consist of new materials. Its vaults, were completely destroyed by an explosion. Some original fragments of the Temple of Baalshamin could be restored within 2-3 months. The project will require extended financing and the monuments will be mainly replicas, since the original structures cannot be restored. 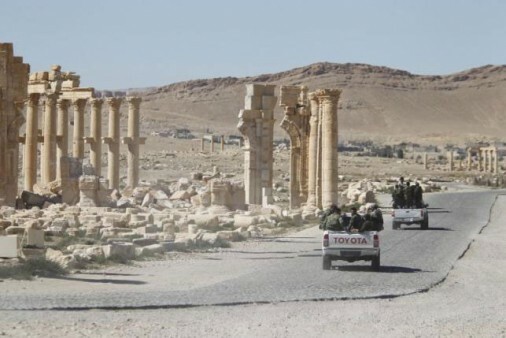 It hasn’t been decided yet which monuments will be rebuilt, according to Russian Deputy Culture Minister Vladimir Aristarkhov, who said so at a news conference attended by the Syrian ambassador to Moscow.